This guest post is by Monica Krake, the founder of Head + Heart, a wonderful resource for spiritual, wellness and socially conscious events. I’d like to introduce you to Head + Heart, an important resource for the wellness and spiritual world! 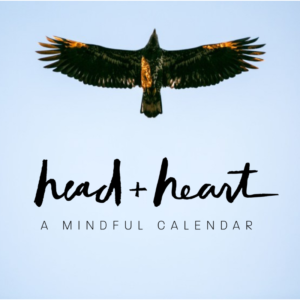 Head + Heart connects people with all of the spiritual, wellness and socially conscious events happening across North America. This site provides one central place for event seekers to discover events and teachers to support their wellness and spiritual journeys. If you’re looking for events and teachers to support your journey from the head to the heart, you can search by event or location to find something near you. There are a wide range of categories including meditation, yoga, shamanism, wellness, retreats, workshops, sound meditation, and many more! Start exploring here or follow on Instagram and Facebook. And, there is no charge for teachers to use this platform – teachers and organizations can go here to create an account and begin posting. Read the rest of this article by Marn Norwich at Head + Heart, an important resource for the wellness and spiritual world! This blog post by Marn Norwich was originally published by Creative Coworkers. I moved to Vancouver 22 years ago with my sister, with little more than a manuscript of short stories, stashed under my airplane seat. We knew one person in British Columbia. We did not have jobs, and we weren’t students. We realized very quickly that to create our visions of fulfilling our purpose, we were also going to have to create community — from scratch. We could not flourish in a vacuum, and we were intent on flourishing. We were goal-driven, passionate young women, and we poured the same intensity into our community-creation project as we had our university degrees and artistic endeavors. If I thought it would be easy, it wasn’t: the experience was like working toward a whole new BA. Most people would agree that community is a fundamental element in a good life. You know the refrain: Our roots are communal; our deep history led us from caves to forests and plains, always in community. And the chorus: If community was once the element that made life possible at the most basic level, now it is more necessary than ever to sustaining our spirits during our era of individuation. Yet when we refer to community, we use banal language, flat words like “networking”, “involvement”, “resources”. These words serve a function, but they seem to chronically understate the astonishing power of community to connect us to each other and ourselves at a core level. Community is the ground-moving strength of the tribe that surrounds us in this time and place, the magical power of good intention, the alchemy of shared vision, the hope of one-hundred-thousand stars, the infinite possibilities of love in action. Community gives us an opportunity to get to know the other spirits here with us on this epic journey, to merge with the thrum of life, to live our lives to their absolute fullest, to share the best of ourselves over the broadest spectrum, to know ourselves better through others’ wisdom and to truly know others — one of the hugest of privileges. When I began to cultivate the art of community-building at age 26, it would have surprised me to know the number of different communities I would live, work and play in over the following decades. Each one has arisen out of a different circumstance, from serendipity to street signs, and in forms as varied as an inner-city commune, single-mother support group and a house-full of Greenpeace boys. I discovered that my capacity to build community has as much to do with intention as legwork. Most fun, I cannot predict what or who will provide the link to my next community. During solitary periods, these communities were often about to explode into my viewfinder. This knowledge makes me wish I could return to my younger self and assure her that the life-bringing connections she needed to sustain herself in this sometimes-isolating new world were right there, just beyond the hoax of time. This article by Marn Norwich was originally published by Creative Coworkers. Scientific studies demonstrate what journal-keepers and other writers already know: writing is healing, and not just for the soul. In an article for Psychology Today titled “Writing and Healing: Exploring the Power of Written Word in Mental and Physical Wellbeing”, author Catherine McCall notes that University of Texas scientist James Pennebaker has found that translating events into language affects brain and immune functions. His subjects tested lower for stress levels and higher for lymphocytes – germ-fighting blood cells. McCall notes that Pennebaker also discovered that when one writes repeatedly about a difficult experience, the emotional weight of the trauma is reduced. “Writing moves us to resolution; it becomes psychologically complete and therefore there’s no need to ruminate about it,” she writes. Pennebaker’s work correlates with another study reported by Time magazine (2013) demonstrating that the verbal expression of emotions can speed up wound healing by nearly 50 per cent. Talking about difficult experiences can be a way of easing the emotional pain of trauma, but the latest research shows that expressing emotions in words can also speed physical healing. The study involved asking people to write over a set period of time about their most traumatic experiences and comparing the results in wound healing to a control group who were asked to write about their daily plans, but without delving into their feelings. “Eleven days after the biopsy, 76% of the group that had written about trauma had fully healed while only 42% of the other group had,” writes neuroscience journalist, Maia Szalavitz. Szalavitz cites previous studies where emotionally-expressive writing reduced viral load in HIV-positive patients while increasing immunity, and increased effectivity of the hepatitis B vaccination by increasing antibody levels and speeding wound healing. At the level of psychology, she cites a study that demonstrated that writing about traumatic combat experiences may improve marital satisfaction among soldiers. In another study, people with post-traumatic stress disorder (PTSD) who wrote about their traumas did not experience a reduction in symptoms, but they did experience a reduction in stress hormones, and their moods improved. Apparently, report-writing just won’t cut it if you need to mend a festering wound of the physical or spiritual variety. It seems that a measure of mindfulness is paramount when utilizing writing for its healing potential. This is something journal-writers and poets have known forever, but it’s gratifying to hear it demonstrated by researchers and reflected in the scientific media. Welcome to the Writing for Recovery blog! In these pages I explore the multi-faceted connections between healing and writing. I have devoted my life – and much of my poetry – to these two phenomena, and I hope you’ll find these posts both educational and entertaining. I welcome your feedback and extend the space to guest bloggers, so please feel invited to write in and share your thoughts!